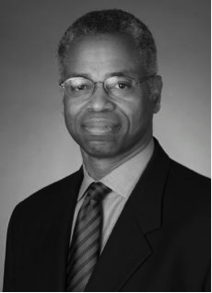 Len Elmore is a former basketball All American high school player, a collegiate All American, and professional basketball player, an attorney and television personality whose professional experience spans a rich athletic career, several prestigious law firms as well as significant business and public interest endeavors. Len’s basketball career began at the Catholic High School Athletic Association’s Power Memorial Academy in Manhattan. As a three year varsity player Len was a consensus All City player in 1969 and 1970 and high school All American in 1970. Power’s 1970 team earned the title of High School National Champions recording a record of 22-0. From 1971-1974, Len was a varsity basketball player at the University of Maryland, where he earned All-Atlantic Coast Conference accolades from 1972 through 1974. In 1974, he was voted onto various All-America teams. In 2002, in its 50th Anniversary Year Len Elmore was voted by the media as one of the Atlantic Coast Conference's Top 50 Greatest Basketball Players. He was a first round draft pick in both the American Basketball Association ("ABA") and the National Basketball Association (“NBA”), where he played professional basketball for a combined ten years (1974-1984) with the Indiana Pacers, Kansas City Kings, Milwaukee Bucks, New Jersey Nets and New York Knickerbockers. Upon conclusion of his basketball career, was. Elmore received his law degree from Harvard Law School in 1987 and is believed to be the first (and only) National Basketball Association player to graduate from that institution upon retirement from professional basketball. He was admitted to the New York State bar. In 1992, Len founded Precept Sports & Entertainment, a sports management company. Based in Columbia Maryland, from 1992-1997, Precept, with a staff of 10, represented and negotiated services contracts for 7 NBA first round draft picks (including a number 1 pick overall), 3 high round draft picks in the NFL, a MLB veteran and several Olympic athletes. After a two year association with the law firm, Patton Boggs, in 2001 until 2003, Len served as President and CEO of Test University (TestU), a successful education technology company and a leading provider of web-based, customized curriculum, student assessment and standardized test preparation solutions for middle and high school students, particularly those students in urban and otherwise disadvantaged areas. At TestU, Mr. Elmore led 40 employees and was responsible for the overall strategic, operational and fiscal direction of the company until the company experienced a change in ownership. After TestU, in 2003, Len joined the law firm of Leboeuf, Lamb et. al, in their New York office where he handled diverse matters including white collar criminal cases and various corporate and entrepreneurial matters. Other practice experience includes providing counsel in the areas of corporate governance, labor and employment law, strategic-decision making and marketing issues. In June 2009, the NBA and NCAA appointed Len to the Board of Directors of iHoops, a collaboration between the NBA and NCAA with the mission of establishing structure and development programs to improve the quality of youth basketball in America to enhance the athletic, educational and social experience of the participants. In May, 2010 Len was named Chief Executive Officer of iHoops until October, 2011. Len Elmore has been the recipient of numerous awards that recognize his commitment to community, education and justice. In April, 2015, Len was awarded The Street & Smith Sports Business Journal’s coveted Champions: Pioneer and Innovator Award honoring individuals who have had a unique and lasting impact on sports and the business of sport. In November 2016, Len began his 28th year as a television basketball analyst during which time he has broadcast both NCAA men's basketball and the NBA games. His television career began in college basketball with JP Sports and CBS. He has covered the NBA for CBS, ESPN/ABC and currently covers the NCAA Tournament for CBS and Turner Sports. Mr. Elmore is a noted authority on sports and sports law issues and has had articles published on a variety of issues in sports and society. Len has appeared on a significant number of network and cable television news and sports programs. He has served as a panelist or moderator at a variety of sports and law seminars. A coveted speaker, Len has delivered speeches and presentations for a significant number of professional organizations, colleges and universities, schools and civic organizations. Len has written numerous op-eds and commentaries for a diverse group of media outlets including USA Today, The New York Times, National Public Radio, the Knight Ridder News Service, Street & Smith’s Sports Business Journal, U.S. News and World Report and ESPN.com. Appointed in 1998, Len also served as a member of the Board of Trustees at the University of Maryland College Park until 2007. Prior to the Board of Trustees, Mr. Elmore served on the University System of Maryland Foundation Board from 1990 until 1998. Currently, Len Elmore is a Director on the Board of 1800Flowers.com, the leading online and telephonic gift and flower retailer and serves as a Director on the Board of Lee Enterprises, Inc. a leading newspaper publishing company. He currently chairs the Corporate Governance and Nominating Committees for 1800Flowers’ Board and serves on the Audit Committee for Lee. Mr. Elmore continues to fulfill his commitment to education, athletics and public service as a Commissioner on the John and James L. Knight Foundation’s Knight Commission on Intercollegiate Athletics, a body focused on reform in college sports. Len remains extensively involved in a wide range of other public service, educational and charitable activities.